Swegon AB is a market leading HVAC producer and supplier of energy efficient ventilation and climate systems. Their product range includes air handling units, water- and air borne climate systems, flow control, acoustics and demand controlled ventilation. Swegon’s Wise airborne climate system operates at room, zone and system level and consists of intelligent motor-driven dampers, active air diffusers and communication units. “We set high standards for a compact solution with the same physical dimensions as a motor control board, but with extended functionality. Unjo’s strength is that they have an understanding for our applications, and most importantly, they come up with alternative suggestions on how to solve a challenge”, says Ulf Hörman, Product Group Director at Swegon. The co-operation between Unjo and Swegon has spanned over a decade, starting off with a development project for motor control which now has reached the 3rd generation. In the first generation Unjo helped Swegon to optimize their existing stepper motor solution for a controlled damper used in airflow regulation for indoor climate control. In generation two Unjo was involved in replacing the stepper motor with a brushless DC motor to increase the performance and efficiency. For the current product generation, Swegon needed a solution for a demand-controlled ventilation system that would provide the right amount of air, in the right place, at the right time. The purpose was to create an energy efficient ventilation system for comfortable indoor climate. Swegon wanted a new control method to efficiently balance the air flow with the actual demand in each room at any time and thereby optimizing the amount of power consumed to operate the fans in the air handling unit. Therefore a need was identified to detect among others people presence, air quality and temperature. Unjo’s challenge was to create a distributed system that could control the air quality in each room in a building by integrating the controller with built in presence detection and electronics for a diverse range of sensing capabilities. The controller was also equipped with digital communication to enable a fully distributed communication network topology. 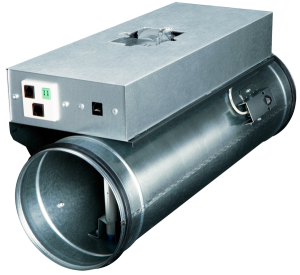 Swegon already knew how to optimize the air flow by creating an air damper working with a constant pressure in the duct. Swegon’s idea was to use the pressure difference across the damper to measure the air flow. The challenge for Unjo was to find out whether it was possible to measure the pressure difference with the accuracy and precision required to make the system run perfectly. There was also the challenge of finding and integrating a motion detector in order to detect the presence of people in the room. “Unjo’s team members are very skilled, not only in terms of motor control, but also in terms of system integration. They also have a high quality of delivery when it comes to both hardware and software. This is very important to us when the product we buy from Unjo is a vital part of a solution that we develop”, says Ulf Hörman, Product Group Director at Swegon. Unjo calculated and analyzed size, cost and technical performance of available pressure sensors. The selected solution was an integrated pressure sensor giving input to the system to adjust the airflow in each damper. This gave the possibility to vary the pressure in the system all the way down to room level, thereby saving energy and preventing the many dampers in a system from unwanted interactions. 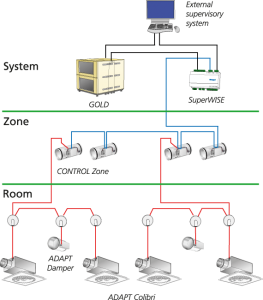 system that is a vital part of Swegons WISE system, taking care of the room level in a very accurate and energy efficient way. 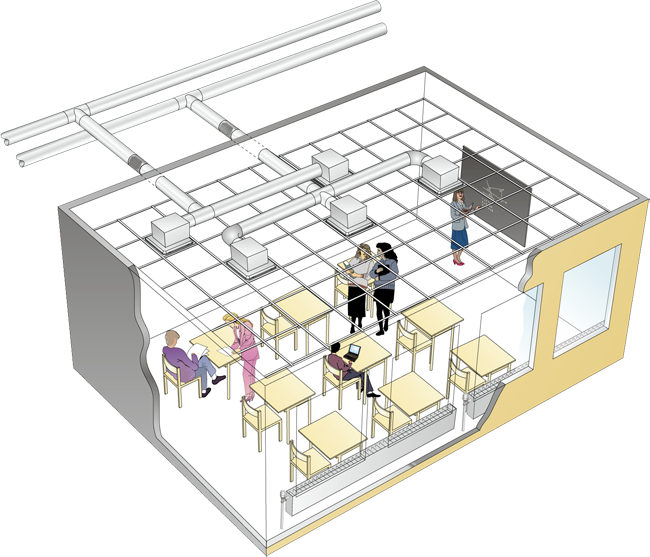 The benefit is a compact, technically advanced and energy efficient system creating comfortable indoor climates. Well, Unjo is an expert when it comes to motor controllers and motor control systems. In this case Unjo provided a system solution, which extends far beyond motor control. Having the knowledge about and ability to integrate additional functionality, Unjo can optimize your system and make everything work well together. 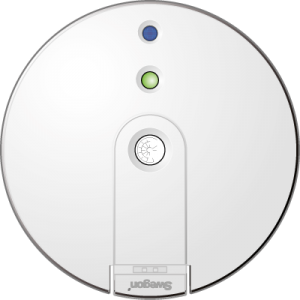 “Swegon is an expert in how air conditioning should perform and Unjo has the tools to make it perform that way. We work as their extended electronics development department and sounding board. The continuous dialogue and follow-up process is very important for us”, says Johan Möllerstedt, Senior Engineer at Unjo.